"I only have a couple of minutes. Just tell me the most Important Things I need to know about Choosing, Ordering and Maintaining a Spa Cover." Q: "Why does my spa need a cover ?" A: A spa cover does 3 'main' things. 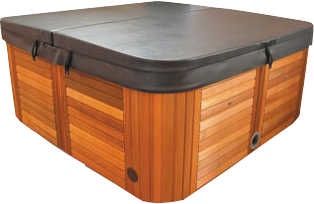 It retains water temperature and reduces spa heat-up time. There are many other benefits associated with the 3 main catagories listed here. 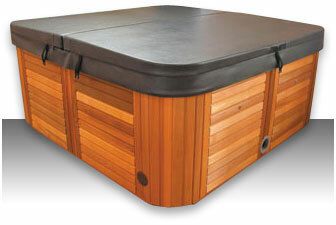 Q: "What are the main things I should consider when choosing a spa cover ?" A: 7 things you should factor in when choosing a Spa Cover. Quality of the vinyl - is it genuine marine grade? The required strength or density of the foam inlays. Is the foam tapered for water run-off? ​Whether you require lock-down clips on the cover. ​How will you ﻿﻿order it? ​Do you know the make and model of the spa? How to measure your spa for a cover? Q: "When installing my cover what do I need to know"? Do not install lock straps too tightly. Q: "What are the most important things to do to prolong the life of my cover"? A: 5 main things you should know about maintaining your spa cover. ​Keep it clean. Use dish-washing liquid, lukewarm water and a soft brush. ​Don't drop or drag the cover. Rough surfaces can scratch or tear the vinyl. ​U﻿﻿﻿﻿se the skirt, not the handles or straps, to carry the cover. ​Store cover out of the sun when off the spa. The underneath material is not UV stable. Don't allow puddles to form on top of the cover. Reversing foam inlays will usually fix the problem. Q: "How do I go about ordering a cover?" A: Click the button below, answer a few simple questions and I'll be in touch with a quote and ordering details.